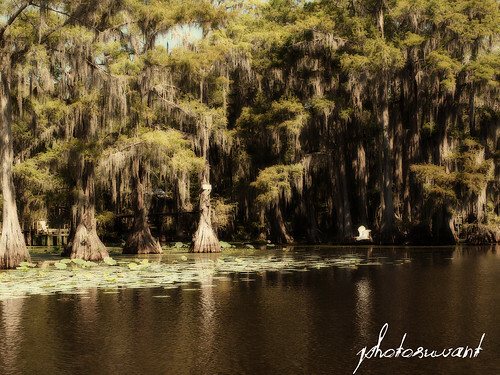 Caddo Lake was actually one of the lakes that we considered moving to. Although we loved the beauty and surroundings of the lake, we opted for Lake Fork due to its convenience to Dallas and the airport. 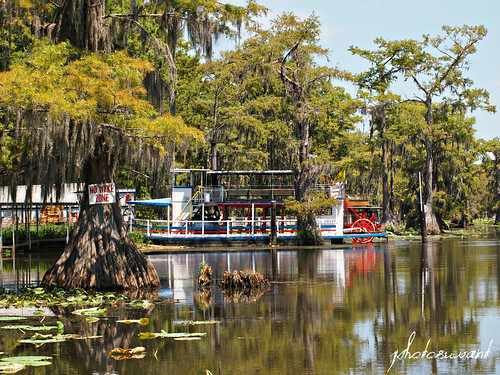 However, we told ourselves that we can always visit Caddo Lake because it’s just a 2 hour drive from Lake Fork. 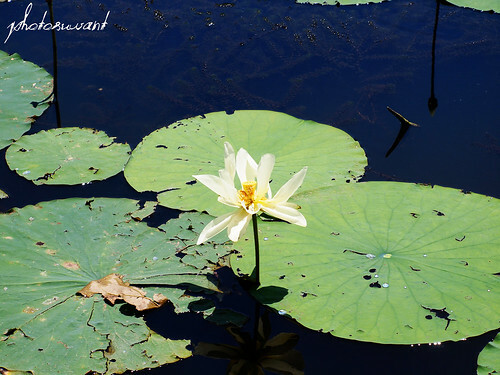 With family in town for a couple of weeks, we decided that this was a must do day trip and decided to take a tour of the lake as well as visit nearby Shreveport, Louisiana. The lake actually sits on the border between Texas and Louisiana and according to our tour guide, Texas got the best part. I can see this statement as being true, because interestingly enough, the Texas side of the lake resembles more of a swamp than a typical lake with wide expanses of water. 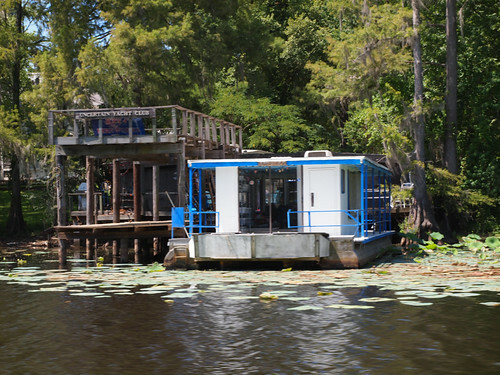 We initially had planned on taking the pontoon boat tour offered by the Graceful Ghost Steamboat Tour company. 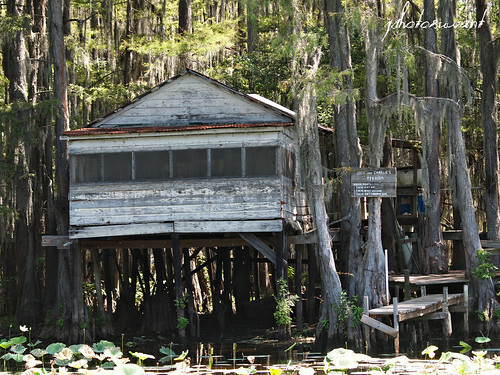 The website stated that they were open Tuesday-Saturday and had a guaranteed 10am pontoon boat tour. Although we called twice to make a reservation, they were not open both times and our messages for call backs were never returned. We decided to go ahead and drive to the lake and were there by 9:40am – plenty of time for a 10am “guaranteed” tour. However, when we arrived, we were told that they didn’t have a guide for that tour until 2pm or we could take the noon tour on the steamboat. Although the steamboat was intriguing, with the lake as low as it is (and most lakes around Texas are very low right now due to the drought), we knew our best chance to see deep inside the lake was on a pontoon boat. In addition, at 10am, it was already 90 degrees out and the temperature was rising quickly. At this point, we weren’t sure what step to take next. We knew that there was another boat company that also had tours starting at 10am, but we were out of time by now. So, Troy went walking around the Shady Glen Marina and met another man that offered tours on his pontoon boat. This was most definitely fate since the only reason he had been there was because he was fixing the cafe’s air conditioning and he wouldn’t have been there if we had waited just another 15 minutes. The guide was R.L. Spencer Jr. and he doesn’t charge for tours, but instead takes donations for his Broken Chain Prison Ministry. The ministry visits prisons and works to educate prisoners about the word of God and the Bible. 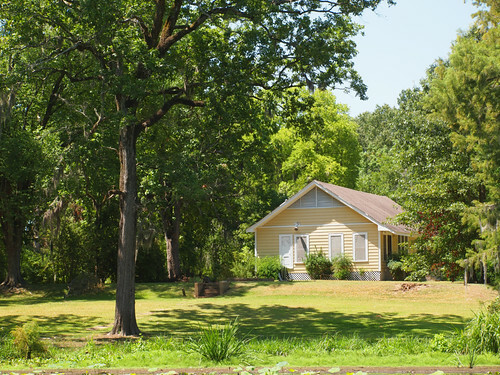 He was an excellent host and guide and has lived in Uncertain, Texas his entire life. He even points out his home on the waterfront during the tour. 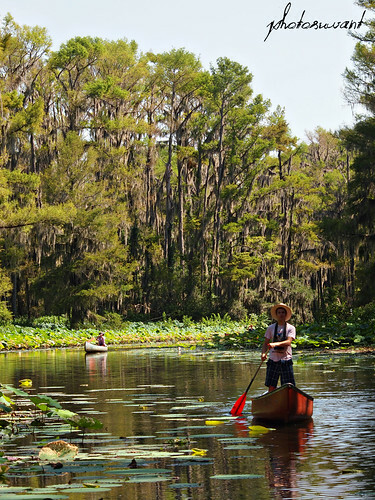 He had personal stories as well as historical stories to tell throughout the trip and constantly had an eye out for alligators, although it was a bit too hot for them the day of our tour. His boat has park benches for seating and a covered area so that you can escape the direct sun. It’s an ideal boat for photography, as there are not any poles or other obstructions if you sit at the front of the boat. We were very pleased with his service and had the feeling that the whole situation may have worked out better for us in the long run. 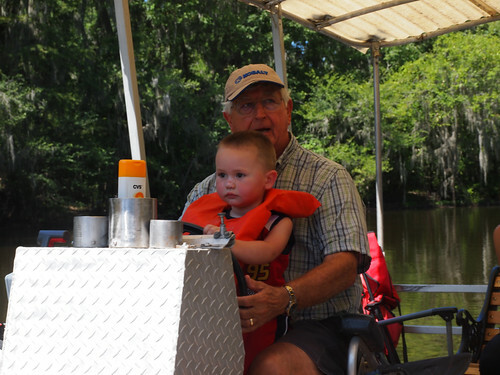 He even let our son sit on his lap and “drive” the boat. The state house owned by Don Henley (of the Eagles) as well as another home owned by Henley. Henley also owns the Fly N’ Fish land across from the lake. As for the Graceful Ghost Steamboat Company, I was a bit disappointed in the way they did business. If your website says that there’s a guaranteed tour at 10am and that advance reservations must be made for any other times, then you should be prepared to stand behind that and they weren’t. If they had been checking their messages and returning phone calls, then we would have known that they didn’t have a guide and we could have adjusted our plans accordingly. Lucky for us, we were able to meet another guide though and were able to enjoy a day on the lake. 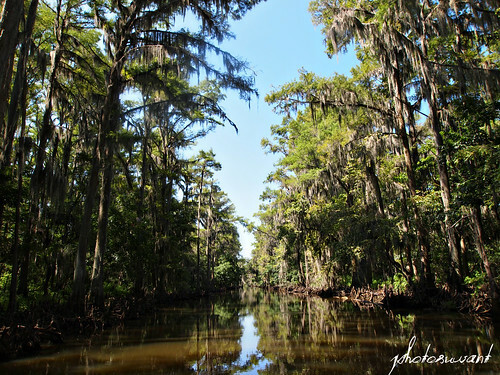 If you plan to visit Caddo Lake, do keep in mind that the summer is hot and although the lake does have many trees, they don’t offer a ton of shade. Be sure to bring plenty of sunscreen, water, and your sunglasses, because you’ll need them. When we departed the tour, which lasted about an hour and 45 minutes, the temperature was already up to 99 degrees and by the end of the day in Shreveport, it was 104. The lake is also very low right now and access to many parts of the lake have been cut off completely or are very limited, so be understanding in that fact as well. I would actually suggest trying to take an evening or early morning trip to see the sunrise or sunset on the lake, as it would have to be absolutely gorgeous. It was gorgeous in the middle of the day as well, but the heat does take a toll on you. If you would like to take a tour with R.L. Spencer, which I would definitely recommend, you can contact him at (903) 926-4077.